LIVE PRIVACYMAXX MARKETING WEBINAR: Expert training to help you earn big! With identity theft and data breaches all over the news today, TripleClicks’ PrivacyMaxx three-year Family Identity Theft Protection Plan practically sells itself. Still, a little expert guidance and proven, practical how-to steps on the best ways to offer the plan to customers–and cash in on the plan’s hefty Affiliate sales commissions–NEVER hurts! That’s why we’re introducing a very special LIVE Webinar–Identity Theft Protection: Secure the Future–led by the head marketing specialist from PrivacyMaxx’s corporate office, Richard Finney. Richard has years of experience and success in clearly outlining to customers the benefits and the growing necessity of a PrivacyMaxx plan…and he will teach YOU how to do the same! Not only that, but Richard will also field direct questions from Affiliates to better address personal experiences and individual issues encountered when marketing PrivacyMaxx. Once there, make sure the Webinar’s title–Identity Theft Protection: Secure the Future–is entered in the Meeting Name field, then enter your name in the appropriate field, and click Next. A welcome popup box will confirm your registration. IMPORTANT! Be sure to select ALLOWif the Flash Player Settings box prompts you. For more help with the webinar’s functionality, see this guide. Then, simply return to the link above on November 3rd at 7 p.m. EST to watch and participate in the Webinar. If you would like to ask questions during the Webinar (or if you don’t have access to the Internet during the live conference), use your phone to dial in at: 712-432-1212.Enter 588-763-307# when prompted for the Meeting ID. NOTE: Although the PrivacyMaxx plan is available only to U.S. residents, any SFI Affiliate living anywhere in the world can sell this plan to customers living in the U.S. and earn resulting sales commissions! Log in at the SFI Affiliate Center, then head over to the FORUM–to the SFI NEWS DISCUSSIONS section–to discuss this announcement with your fellow SFI’ers. Create a new, residual income stream with PrivacyMaxx! Categories: Affiliate Center, Marketing, Training, TripleClicks | Tags: help, marketing, privacymaxx, sell, training,webinar | Permalink. New bigger, better Pricebenders auctions! The Spring Leadership Challenge is here! Exciting news for Pricebenders auctions! Blog at WordPress.com. | The Yoko Theme. Organic Prospects Review – Is It REALLY That Great? If you’re reading this, chances are you’ve heard about Organic Prospects and you’re trying to talk yourself out of signing up. You probably want to figure out whats wrong with it, where the hole in their concept is, or why it might not work out for you. If you’re reading this and you don’t know about Organic Prospects already, STOP. Now that you’ve got the basic idea (or perhaps you’ve decided to wait until later to check it out) let me recap. Organic Prospects is an organization started by Greg Stinton and Aaron Warner. Two online marketing gurus who have done it all in the online marking word. Google Adwords, affiliate advertising, pay per click advertising, and every other marketing trend that has come and gone since 2003. From what I know, Greg and Aaron are awesome guys who know everything there is to know about the Marketing World. With all of that knowledge, they decided to create Organic Prospects: a system that would connect businesses with the prospects that would be most genuinely interested. Organic Prospects uses a four step system for each and every one of their clients using technology that no other marketing business is using. They acquire, grade, filter, and distribute 70 prospects a day to you, each any every day. They select the best prospects they can find on social media sites using their acquisition campaigns, then they rate them from 0% to 100%, and filter out the prospects graded between 0 and 75%. Organic Prospects is one of the most inexpensive marketing tools I’ve ever used, and I’ve used a lot. I know a lot of people are going to complain regardless (because nobody wants to pay for their success, sigh), but when I get to how it’s worked for me a little later, you won’t have any hesitation about it. Organic Prospects is $29.95 per month after a $30 sign up fee, which goes toward the initial sign up process where they get to know your business and your needs. $30 is less than most people pay in a month for coffee. If you hit the coffee shop twice a week at about $5 per visit, that’s $40 a month. If you’re not a coffee person, that’s two trips to the local pub for a couple of beers, or two trips to your favorite cheap lunch spot. For me personally, I made back that $30 with my first prospect that went to my site and made a purchase. I guess it depends on your type of business, but for me I could tell that the prospects I was getting were genuinely interested. Another important thing beyond effectiveness and Organic Prospect’s proprietary system; the user experience. Setup was pretty easy; it didn’t take too long. I was able to make sure that my prospects would be custom fit to my business. From there, I got my first list of prospects quickly and spent some time playing with the Organic Mailer. You can either download your list of prospects and email them on your own, with or without a third party mailer. I’ve used some third party mailers before, and I was happy enough with the Organic Mailer that I didn’t feel like I needed to go and subscribe to something else. It does what it needs to do and then some; you get to see who is viewing your email and plenty of other data that lets you figure out if you’re doing the best you can do with your mailings. Overall, this system is easy to use, and it doesn’t take a lot of time. Sure, you still need to put in a bit of effort, but its ultimately very easy. I’ve been at it for a couple months now, and I’ve been getting conversions more than any other marketing tool in this price range. It would be so worth it to get more prospects from this company, based on the quality and response level alone. Its going to be pretty different for every type of business, but from my experience, they do a fantastic job matching each of their members with prospects that have that genuine interest that makes a perfect match for any profitable business. Every month, my membership is paid for within the first two days. That might not be the case for everyone, but at a cost of essentially $1 per day, most businesses should be able to pay for this with ease if their account is set up right and they do the work of sending out mailings. Customer support is pretty good with Organic Prospects. Its easy to open a ticket or view FAQs to solve your own problem. They are really responsive, and the customer support agents know the product quite well. If you have a home business, e-Commerce site, or other online business, the clear answer is “yes”. If you can get motivated to do the work with producing mailers, that’s all you need to do. For me, this is a supplement to other marketing products, but could be a great system on its own. I would suggest that if you’re inexperienced writing your own mailers that a copy writer might be a good idea, but other than that, if you’re active in building your online reputation and presence, you really don’t need anything else. This is a legit review so join them if you like www.organicprospects.com And if you don’t, so be it but ultimately your loss. You’re leaving money on the table. Organic Prospects is definitely not a scam. I just joined Organic Prospects earlier today after reading this compelling review. Will let you know “if” I get any results worth reporting. So many scams out there these days.. I really hope Organic Prospects is legit. Got my first sale from an Organic Prospect today so I thought I might as well thank the “dude” that turned me on to Organic Prospects. Thanks Marco!! On another note, can you recommend an autoresponder to export and import these leads into? The Organic Mailer works fine but I’d like to mail to them more often. Thank you Macro! Really great review! I haven’t seen anybody talking about the Organic Prospects specifics in their Organic Prospects Reviews like you have. There seems to be quite a few Organic Prospects Reviews out there and newbies will have a lot of reading to do if they want attempt to read all of them lol. Hi Ignacio, thanks for your comment. Yes there are a heck of a lot of Organic Prospects Reviews out there. I sincerely believe that each of them is written from different individual’s perspective and learning experience they gained from Organic Prospects. Of course with the intention of referring new members to Organic Prospects as well. Organic Prospects is a workable doable ad site from my tests. However, it is definitely going to take some time and hard work for a newbie to research, plan and create content from different marketing angles before he/she could see results. Persistence will help too. It would be a definite plus if you have your own niche or program to build on! When you have spare time in the future I strongly suggest to write 6 or 7 good email ads in advance, and then test them out Monday to Saturday to your prospects so you can properly assess your results. Pingback: Organic Prospects – An Affiliate Marketer’s Best Friend? | Organic Prospects Review – Scam or Genius? Interesting Organic Prospects scam review. I really enjoyed it! I once took an online course about affiliate marketing, but I found that I kept on having to pay for extras – really dug into my cash reserves. Is this going to happen with Organic Prospects? Hey Tony, glad that you enjoyed reading this article. As a member, you are only able to access the first set of leads for $59.95 which includes a one time $30 setup fee. To continue on you have to pay $29.95/mth. That’s it! no hidden fees or upsells as far as I know. As a Member, you are able to access to all everything that comes with the program – the prospects, mailer, support, full stats etc (nothing is held back). the fact that you are able to get 24/7 support is HUGE. You can use the promo building tools and promote out as an affiliate as well. Hope this clarifies. Take care and God Bless! I have been part of Organic Prospects for slightly more than a month now and I’m still pretty much on the fence for advertising Organic Prospects as an affiliate. The number one factor that is stopping me is that I’m not good enough to drive a decent amount of traffic with my other ad tools which means I won’t be able to earn much from it. Right now, I don’t see myself going anywhere as a promoter. It is great to hear you’ve signed up to Organic Prospects but for right now, I would just focus on USING the service and not PROMOTING the service. Driving traffic is not an easy task in any niche. You have to do your research on low competition keywords using paid keyword tools, and IMO that can get pricey and isn’t a good guarantee of success. As far as your prospects go, they will take time to mature and gain your trust as they receive your emails. Continue to create valuable content for your readers and the options and sales will grow gradually. I’ve bumped into the name Organic Prospects quite a few times in my journey to make money online. (which I’m still yet to do). To be honest, I’ve always avoided it because of the low membership cost. I have always purchased programs for hundreds, and I’m quite embarrassed to say, even thousands of dollars and some of it has been re-hashed rubbish. My thinking was, if OP was so cheap, how could it be any good? I thought I would bite the bullet and take a closer look at Organic Prospects and from what I’ve read so far I’m very glad I did. Can I just ask, are you planning on reviewing other programs like they one you did for MAPS? Because I really like that review too. Hi Henry, thanks for your comment! Yes, Organic Prospects, in fact, is a really low cost lead generating program that REALLY is high in terms of bang for your buck. I was skeptical before too. There is no harm in creating a one month trial account anyway I thought, so I test-drove Organic Prospects for myself, the mailer, and the promo tools. The rest is history after that! Yes I do plan on reviewing other programs over time but it’s just that logging in everyday to monitor comments is super time consuming, so I might have to lock my other review comments down. Wishing you Success my man! If you don’t know how to build a profitable marketing list, you certainly will once you have a few thousand Organic Prospects built up. They provide you everything you need, from setting up your mailer, delivering your prospects, prompt tech support, all of it. In fact, there are now no more excuses. The only thing a novice needs to bring to the table is commitment and a desire to work it!. If they have that, the system will take them by the hand and show them everything they need to do to be successful online. What is your favorite thing about Organic Prospects? Thanks for your testimonial Penny! You are absolutely right about commitment and a desire to better yourself. Organic Prospects has all the hardware and it is the budding new Online Entrepreneur who needs to provide the elbow grease to make his/her Online Business a Success! Well, my favorite thing about Organic Prospects is the in house mailer they provide. I don’t have to worry about third party compliance issues with other autoresponders because Organic Prospects provides that all at no extra cost. How much does a third party autoresponder const these days? $30 or more? Wishing you all the success in the world Penny! My Advertising Pays – SCAM or LEGIT? Redemption Code is located on side two of your gift card. Here’s what’s in store for you! 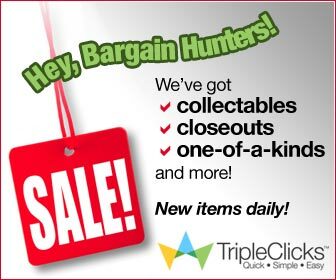 • Bid on Pricebenders™ Auctions. Win hot new products (iPads, netbooks, LCD TVs, silver bullion, appliances, and more)! See auctions happening now/starting soon. • Download great, new music–just one TCredit per song! • List and sell your no-longer-needed items cluttering up your closets. Convert your clutter into CASH! 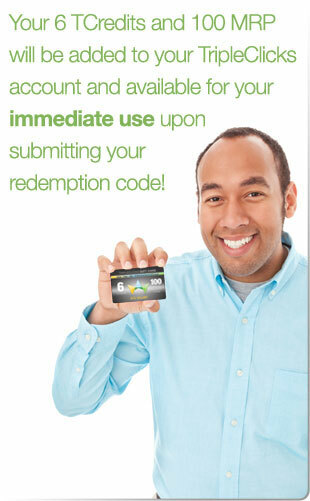 • Redeem on over 80,000 products and services! • Redeem your Member Rewards Points (MRP) on thousands of products and services! Your 6 TCredits and 100 MRP will be added to your TC account and available for your immediate use upon submitting your redemption code!